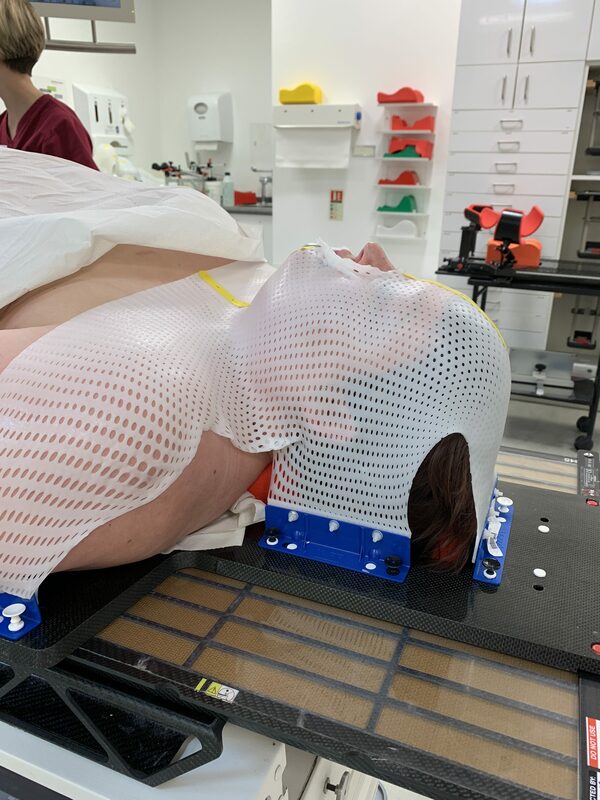 So, yesterday was the second of three stereotactic radiotherapy treatments on my spinal tumour – with the hope that it blasts it to pieces, before chemotherapy mops up the pieces. 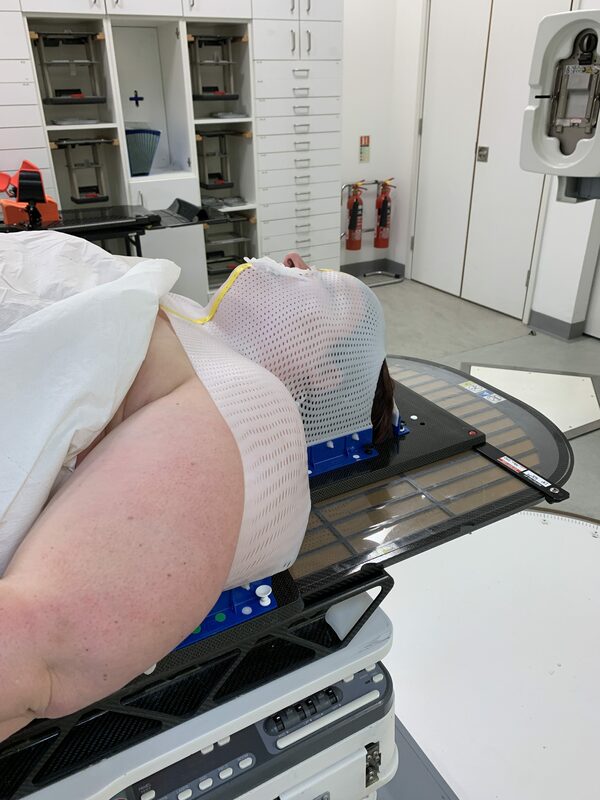 Lots of things have been explained to me whilst preparing for the treatment – but the upshot of it is that it’s very precise and I need to lie SUPER-STILL so they can target the small area VERY PRECISELY. I therefore have to wear this mask, which was shaped whilst I underwent a CT scan, then had to wear it for an MRI scan, for 2+ hours last Friday, another 45+ minutes on Monday … so I asked them to take a photo.. If I had a brain tumour then more of my face would be covered, but as the point of the mask is to hold me still, and not to target a brain tumour, then quite a bit was pulled back to leave my nose/mouth free (not that I can move my bottom jaw, so I can’t speak). I can see a bit through the holes over my eyes – watching the machine rotate around me. One more to go tomorrow! Then more chemotherapy starts 15th April (4 cycles of docetaxol + other drugs over 12 weeks + ongoing drugs every 3 weeks after that)… before looking at an oompherectomy.